Dabbling in Bitcoin? What’s the ‘tax’ story? What’s the ATO’s view of GST and crowd funding? On 12 December 2014, the Tax and Superannuation Laws Amendment (2014 Measures No 6) Bill 2014 received Royal Assent. The Bill makes changes to CGT rollovers for restructure rollovers available where a member of a company or unitholder in a unit trust can defer the income tax consequences of transactions that occur in the course of a business restructure. This includes allowing taxpayers to apply the rollovers where the CGT assets they held, the shares or units, are held as revenue assets or trading stock. The amendments also tidy up the law so the business restructure rollovers that apply to shares and units are now found in one set of provisions. If you are contemplating a restructure of your business, consult your tax adviser. A rollover may be available to you that may not have been available before these legislative changes were made. Bitcoin is not a ‘foreign currency’ for the purposes of the income tax law because the ATO does not view Bitcoin as currency or foreign currency in the context in which those terms operate for the purpose of the Australian tax law (TD 2014/25). Bitcoin is a ‘CGT asset’ for the purposes of the income tax law as it is regarded as ‘property’ for the purpose of the tax law (TD 2014/26). Bitcoin is trading stock when held for the purpose of sale or exchange in the ordinary course of a business because it is regarded as property for tax purposes (TD 2014/27). The provision of Bitcoin by an employer to an employee in respect of their employment is a property fringe benefit (TD 2014/28). A transfer of Bitcoin from one entity to another is a ‘supply’ for GST purposes. The exclusion from the definition of supply for supplies of money does not apply to Bitcoin because Bitcoin is not ‘money’ for the purposes of the GST Act. The supply of bitcoin is not a ‘financial supply’ nor an input taxed supply. A supply of bitcoin is a taxable supply if the requirements under the GST Act are met. A supply of bitcoin in exchange for goods or services will be treated as a barter transaction. Bitcoin is not goods and cannot be the subject of a taxable importation. However, an offshore supply of Bitcoin can be a taxable supply under the ‘reverse charge’ rules. An acquisition of Bitcoin will not give rise to input tax credits under the provisions of the GST Act which allow input tax credits for certain acquisitions of second-hand goods. A supply of Bitcoin is not a supply of a voucher. The reasoning behind the ATO’s positions is very technical. If you are interested to understand more about it, your tax adviser will be able to tell you more. If you are dabbling in Bitcoin, beware the possible tax implications for you. Also, at the time of writing, there is a Senate committee conducting an inquiry into how Australia should regulate digital currency, including how the tax system should treat digital currency, such as Bitcoin. The tax treatment for Bitcoin could potentially change pending the outcome of the inquiry. In the previous edition of TaxWise Business, we referred to the Government’s recent announcement to make changes to the tax treatment of employee share schemes. The Government has since released exposure draft legislation for consultation. These changes are likely to come into law this year, but are still a little way off. 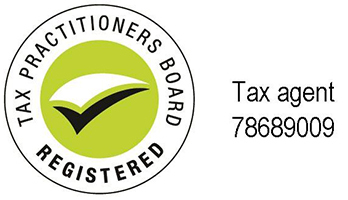 Look out for further information in later editions of TaxWise Business this year. On 17 December 2014, the ATO issued GST Ruling GSTR 2014/2 entitled "Goods and services tax: treatment of ATM service fees, credit card surcharges and debit card surcharges". a surcharge imposed by a merchant on a customer in respect of a credit card transaction concerning supplies of goods or services by the merchant to the customer – the surcharge forms part of the consideration for the supply. è Whether there is GST on the surcharge depends on the supply made. For example, if you are selling clothes that are subject to GST and the customer pays with a credit card, the credit card surcharge will also be subject to GST; if you are selling fruit and vegetables which are GST-free and the customer pays with a credit card, there will be no GST on the surcharge. a surcharge imposed on a customer in respect of a credit card transaction concerning the payment of an Australian tax or an Australian fee or charge subject to Division 81 of the GST Act. merchant in respect of a debit card transaction concerning a supply of goods or services, a cash withdrawal or both a supply of goods or services and a cash withdrawal. è Whether there is GST on the surcharge depends on the supply made. For example, if you run a bakery and customers pay for their cakes with a debit card, there will be GST on the surcharge because those goods are subject to GST. Where the supply contains items that are subject to GST and others that are not, the merchant will have to apportion the surcharge between the taxable and non-taxable supplies using a fair a reasonable method. Consult your tax agent for assistance with this. WHAT’S THE ATO’S VIEW OF GST AND CROWDFUNDING? Crowdfunding involves using the internet and social media to raise funds for specific projects or particular business ventures. For ATO information about the GST treatment of crowdfunding, go to the ATO’s website. The addendum amends the ruling to include the taxation consequences of a partner’s salary where the partnership is a corporate limited partnership. As a result, ATO ID 2002/564 (Income Tax Partner Salary in A Corporate Limited Partnership) has been withdrawn. Self-managed super funds (SMSFs) are required to keep accurate tax and super records for specified time periods. It is likely that the cost of maintaining these records can be reduced through electronic storage. To enable SMSFs to take advantage of potential cost savings, the ATO advises that the record-keeping requirements have been updated to allow records to be kept electronically. Records kept electronically must be easy to access and verify. For more information, see the ATO’s website. If you are concerned about whether you are keeping the right records for your SMSF, speak to your tax adviser. storage decisions for these assets must be documented and the written record kept for at least 10 years. If you have an SMSF with collectable and personal-use assets, you should see your tax adviser to make sure that your fund is complying with all the relevant rules. Recently, the ATO published on its website information about what to do if you have a private company that has, for example, made a loan to a shareholder that is a ‘deemed dividend’ for tax purposes. A taxpayer can take corrective action by, for example putting the right loan documentation in place, to ensure that the amount is not captured by the ‘deemed dividend’ rules (colloquially known as “Division 7A”). Your tax agent will be able to assist you if you have any concerns about loans or other arrangements you may have in place with your private company so it is always best to consult your tax professional for help with these sorts of things. It is good to stay on top of these obligations and obtain the assistance of your tax agent to ensure you lodge your Activity Statement on time, every time. improving the process for applying for an ABN. Do you work as a contractor in the building and construction industry? The ATO has advised that it is writing to businesses in the building and construction industry who have not lodged their 2013-14 Taxable payments annual report, reminding them it is now overdue. The letter will generally be sent to the business though could also be sent to tax agents. If you are no longer in the building and construction industry or did not pay contractors during 2013-14, you can complete the “Taxable Payments Annual Report – Not required to report” online form. If you are in the building and construction industry, you may have received one of these letters. If you have, you should speak to your tax agent about what to do next. where to find relevant information on ato.gov.au about what can be claimed, including QR reader codes to scan for smart phones or tablets. You should see your tax adviser if you have a rental property and receive one of these letters. If you have heavy machinery and equipment in your business (eg agricultural equipment), you may be interested to know the ATO has published a draft list of effective lives for assets used in the repair and maintenance of heavy machinery and equipment for public comment by 31 January 2015. When finalised, the ATO proposes to add them to the schedule that will apply to new assets purchased or installed on or after 1 July 2015. For ATO advice about avoiding common errors that may occur when completing activity statements, accounting for GST and claiming GST credits, go to the ATO website. For ATO information about the farm management deposits scheme, go to the ATO website. cancel the business’ ABN (which should also result in the cancellation of other registrations such as GST.